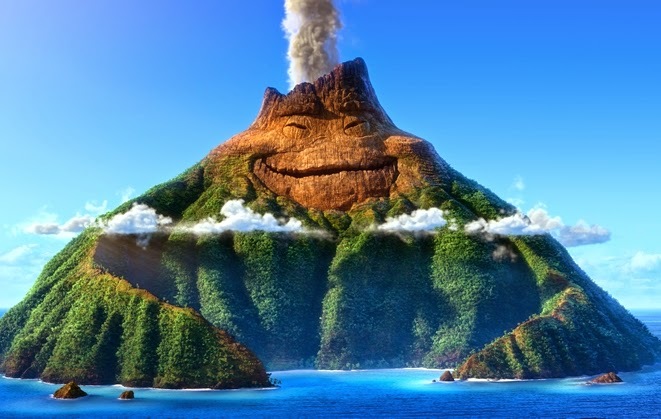 Hawaiian Volcano Dreams Of Finding Love And Sings About It In Disney Pixar's "Lava"
Volcanoes have feelings too. They want to love and be loved. And they sure sing about their yearnings a lot. This is the driving theme behind Lava, an upcoming animated short by Disney Pixar. Disney has released the first clip from the short film and it's nothing short of fantastic. You could say it's a little bit creepy but it's cute nonetheless. According to Disney Insider, Lava is going to be a musical love story chronicling a volcano's search for intimacy among the ocean waters surrounding the Hawaiian islands. The bad news is that it's only a short film so it could run for only a few minutes. It will be shown in front of the upcoming feature film Inside Out which is scheduled to be released in June next year. Lava was directed by James Murphy who said inspiration for the film came to him while vacationing in Hawaii some twenty years ago. The song featured in the clip contains chords from the song Somewhere Over the Rainbow by singer Israel "IZ" Kamakawiwoʻole. Israel is a Hawaiian musician who shot to fame in 1993, the year his album Facing Future was released. The most successful song in the album was Israel's versions of the songs Somewhere Over the Rainbow and What a Wonderful World.